Merritt Island resident Klaus Kolb’s third book of his memoir series Twelve Flags Book Three The Travel Years was released as a paperback and on Kindle. Kolb, 83, will hold book signings in Brevard County this fall. Twelve Flags Book Three is a 281-page soft-cover book that outlines Kolb’s life from age 21 to 30. The book opens as he and his father escape post-war Communist occupation of East Germany via the Berlin Subway. His father, recently released after seven years in prison as a political opponent , and he must leave Klaus’s ailing mother and sister without a word. The refugees work hard to make a home for the women. Klaus moves up in responsibility and salary, marries and travels the globe to hone his people and mechanical/engineering skills. He faces challenges including language barriers, lack of trained workers and difficulty in obtaining parts, weather, government uprisings and near-death health issues. Kolb grew up in an Eastern province of Germany during the rise of the Nazi Party and during World War II. In 1965, he became president of the 160-employee Bruckner Machinery Corp. in Spartanburg, South Carolina. The firm manufactured, sold and serviced textile dyeing and finishing machinery. From 1979 to 1997, he was president of ADO Corporation, a German-owned business that manufactured and exported specialty textile fabrics and custom-made draperies. In 1998, Kolb built his own geodesic home in Spartanburg, and later formed and served as president of Kolb’s Geodesic Homes, based there. Kolb has lived and worked in more than a dozen countries. He is a licensed pilot. “This book gives a cultural history of European life. Teachers are using my books to show the challenges of life under both Nazi and Communist control of Germany,” Kolb said. 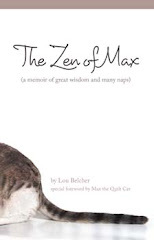 The third in a series of books planned about various stages of Kolb’s life has been entered for Pulitzer Prize nomination. Local booksignings include one at the South Creek Branch Library, Orlando at 2:30 p.m. Nov. 5 and at 1:30 p.m. Sept. 29 15 at Victoria Landing, Melbourne. Reservations are needed for the Victoria Landing talk at 321-622-6730. He expects to sign books at the Meet the Authors Book Fair Nov. 18 and 19 at the Eau Gallie Civic Center, Melbourne and the Florida Authors’ Symposium at the Veteran’s Memorial Public Library in St. Cloud from noon to 4 p.m. Jan. 27, 2018. The $20 book includes more than 100 photographs, many from Kolb’s family albums. Signed copies are available directly from the author, through Amazon Books or for immediate download on Kindle for $3.99. 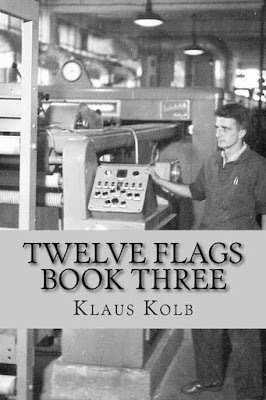 Kolb’s web site www.twelveflags.us describes his books. 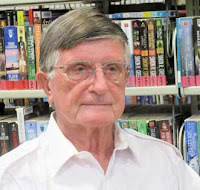 Retired Florida Today reporter Linda Jump edits Kolb’s books.